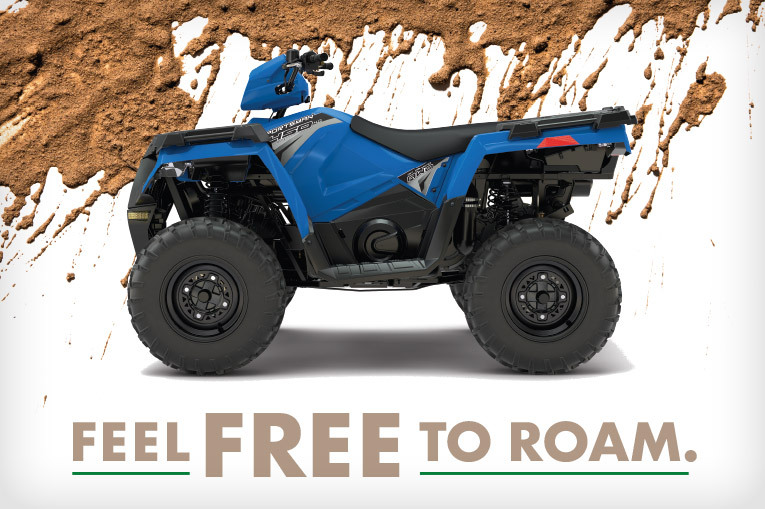 Register for a chance to win a 2018 Polaris 450 HO ATV. Also, count on us to help with a loan for a car, boat, RV, ATV or to refinance an existing vehicle. No purchase is required or necessary to be eligible to win or entered into the drawing. Winner is subject to all applicable income and sales tax on merchandise won. To be eligible to register for a chance to win, entrants must be an Access Credit Union member, or be eligible for membership. Applying for a collateralized loan automatically registers entrants for a chance to win. Members without a collateralized loan, who wish to do so, will be entered by providing their name and contact information. One entry per applicant. Must be 18 years old or older to enter. Entries may be subject to credit approval. Offer expires10/31/2018. Owning and operating an ATV can result in serious injury, death, or damage to property. Access Community Credit Union is not liable for any damage to property or bodily harm resulting in ATV use. Access Community Credit Union is not liable for any technical or mechanical issues that the winner may encounter when owning the ATV. For further details, please call us at 806.353.9999.